“LOOK” relies primarily on two ideas to establish its basis. It uses the U.S. Department of Defense’s Dictionary of Military and Associated Terms, particularly the 2007 version, to tell us how war affects the lives of individuals on both sides. It also uses her perspective as an Iranian-descended, Turkish-born, U.S.-raised woman to complicate public perception of war even further. Sharif blends these two ideas wonderfully, alluding to dictionary definitions of phrases like “BATTLEFIELD ILLUMINATION” followed by “on fire / a body running.” The use of military terms and definitions offers the apathetic perspective of soldiers, but her use of personal anecdotes heightens that connotation, even changing it from neutral and descriptive to painful. Her redefining of Military and Associated Terms tells the stories that the initial definitions were created to hide, of the people who are lost in the war, the people described as “Collateral” or “Dolly” by those who distance themselves from the lives in which they intervene. This is what Sharif’s poems do best: they get the reader to look at all sides of the war in its entirety, see what it is doing to the victims and the perpetrators, see the vulnerabilities, but also the strengths in the victims and perpetrators of war. Anyone who takes interest in knowing the experiences of those whose lives are surrounded by war should absolutely read this collection of works. Anyone who wants to try to understand another point of view should read “LOOK” because it gives the reader an opportunity to do something so rarely done: look into the lives of another, vulnerabilities and strengths, valor and atrocities included. 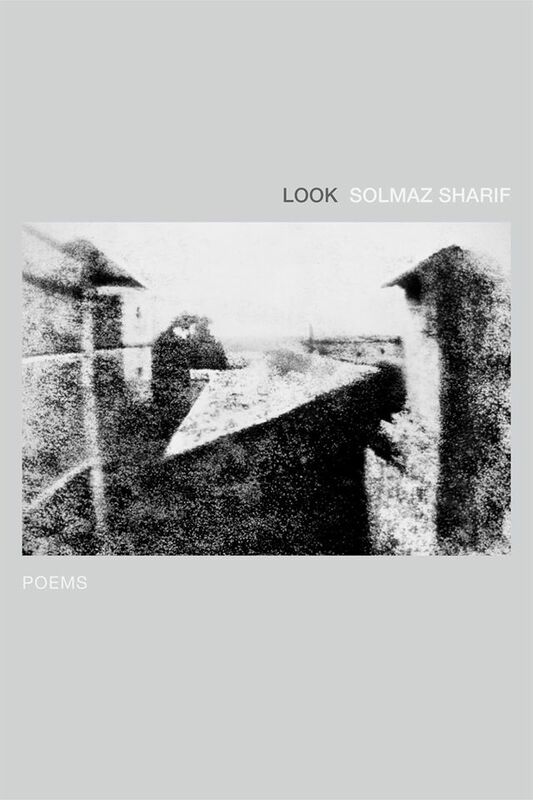 About the Author: Solmaz Sharif was born in Istanbul to Iranian parents. She holds a degree from U.C. Berkeley, where she was a part of Poetry for the People, and from New York University. In 2014, she was selected to receive a Rona Jafe Foundation Writer’s Award. “LOOK” was a finalist for the National Book Award. Her works have appeared in The New Republic, Poetry, The Kenyon Review, jubilat, Gulf Coast, Boston Review, Witness, and various others.